Summary: Lilacs in Literature Publishing Company is honored to announce that Franky the Finicky Flamingo has earned the prestigious Mom’s Choice Award ®. Having been rigorously evaluated by a panel of MCA evaluators, Franky the Finicky Flamingo is deemed to be among the best products for families. Cooca, FL. The Mom’s Choice Awards ® has named Franky the Finicky Flamingo as among the best in family-friendly media, products and services. The MCA evaluation process uses a propriety methodology in which entries are scored on a number of elements including production quality, design, educational value, entertainment value, originality, appeal, and cost. With the evaluation now complete, the testing samples of Franky the Finicky Flamingo will be donated to schools, libraries, hospitals and nonprofit organizations. 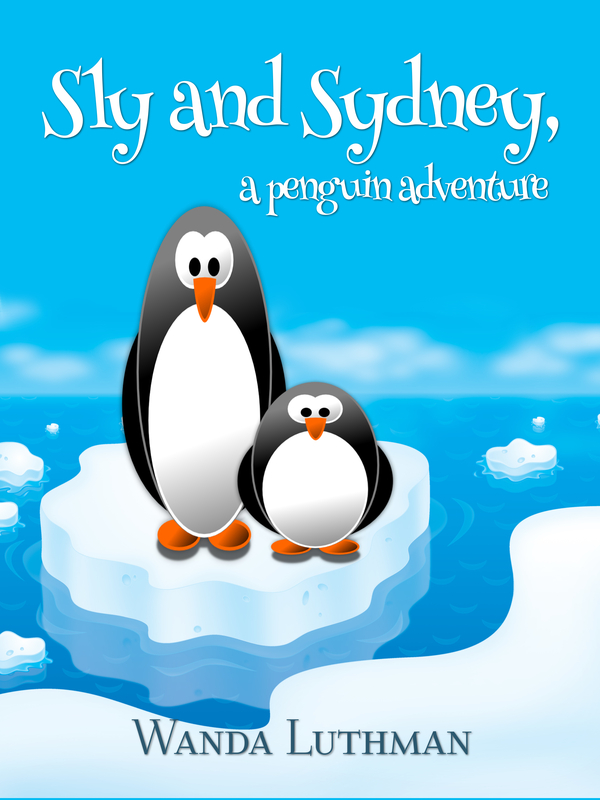 Lilacs in Literature Publishing Company is the maker of the popular Franky the Finicky Flamingo picture book. Its books are known for their positive social/emotional messages. The company is located in Brevard County, FL and has won several awards for quality in literature. The company’s website at www.wandaluthman.wordpress.com contains additional information. The Mom’s Choice Awards ® (MCA) evaluates products and services created for children, families and educators. The program is globally recognized for establishing the benchmark of excellence in family-friendly media, products and services. The organization is based in the United States and has reviewed thousands of entries from more than 55 countries. MAITLAND, FL— With her new book, The Lilac Princess, ($10.99, paperback, 9781498412254; $5.99, e-book, 9781498412261) Wanda Luthman reminds readers of the sheer reality that everyone makes mistakes, and therefore, all are in need of forgiveness. The text transports readers to a mythical world filled with adventure—even dragons—knights, a princess, and more. Join Princess Dreama and her friends as they experience the journey of a lifetime, and come away with lessons that change them forever. Wanda Luthman has her Master of Arts in both mental health counseling as well as guidance counseling from Rollins College located in Winter Park, FL. She worked at a community mental health center for ten years before transferring to the public school system as a guidance counselor. She has always loved reading, writing, and has written many books and poems as a child growing up in Missouri. She presently resides in Brevard County (Florida) with her husband of nineteen years, her daughter, and two dogs. Xulon Press, a division of Salem Media Group, is the world’s largest Christian self-publisher, with more than 12,000 titles published to date. Retailers may order The Lilac Princess through Ingram Book Company and/or Spring Arbor Book Distributors. The book is available online through xulonpress.com/bookstore, amazon.com, and barnesandnoble.com. COCOA, FL— With her new book, Little Birdie Grows Up, ($10.99, hardcover, 9780692745090, $6.99, paperback, 9780692745106; $2.99, e-book, and Audiobook) Wanda Luthman takes parents and children on the emotional experience of having a child, helping them grow up, and letting them go. Wanda Luthman has her Master of Arts in both Mental Health Counseling as well as Guidance Counseling from Rollins College located in Winter Park, FL. She worked at a Community Mental Health Center for ten years before transferring to the Public School System as a Guidance Counselor. She has always loved reading, writing, and has written many books and poems as a child growing up in Missouri. She presently resides in Brevard County (Florida) with her husband of twenty-one years and two dogs. Her daughter has left the nest and is away at college. IngramSpark is the self-publishing part of Ingram Book Company. Retailers may order Little Birdie Grows Up through IngramSpark as well as amazon.com, and barnesandnoble.com. 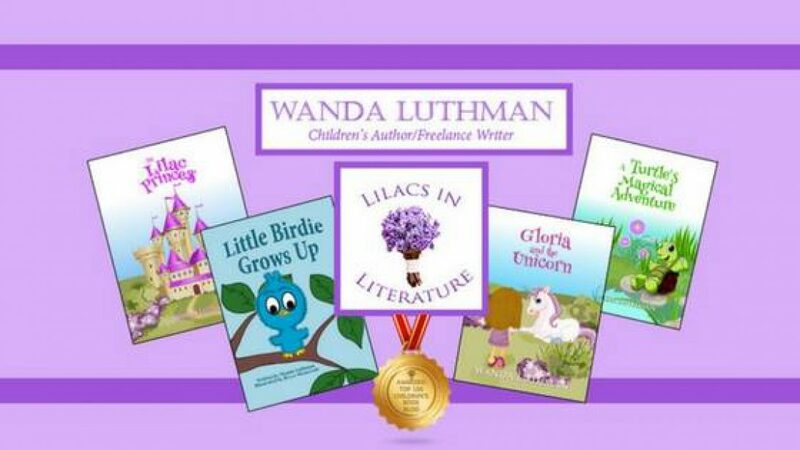 Wanda Luthman published her first children’s book, The Lilac Princess, in 2014 about forgiveness. Next, came her wonderful tale of Tad, in A Turtles Magical Adventure published, March 2016 about self-acceptance. In August 2016, she debuted Little Birdie Grows Up which is her first picture book which exemplifies perseverance. 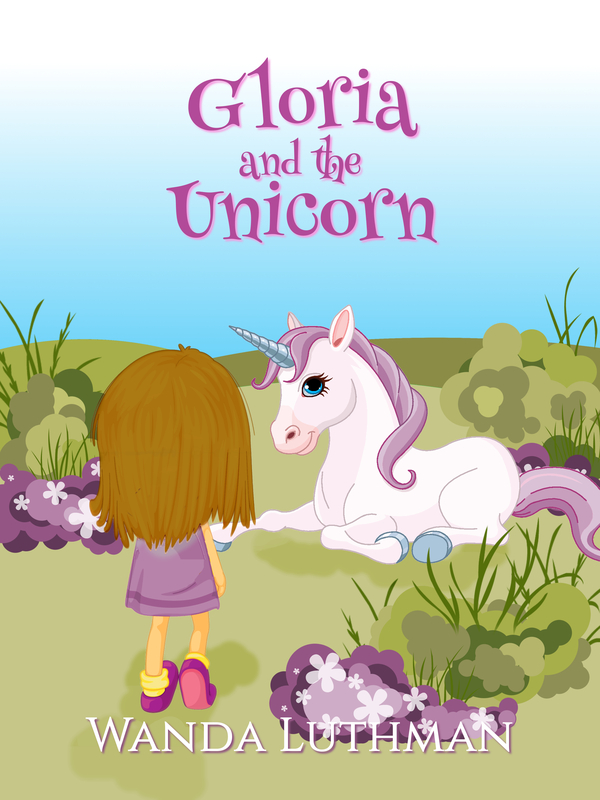 In May 2017, she published Gloria and the Unicorn about a special needs child and empowerment. Most recently in October 2017, she published her second picture book, Franky the Finicky Flamingo which depicts a flamingo as a picky eater until he discovers the food that is right for him. The Lilac Princess is a modern fairy tale of a young Princess with too much responsibility and not enough freedom. She is an only child to an elderly King and Queen of a Kingdom in turmoil. Upon her rests the responsibility to rescue her Kingdom one day. But for now, she is held within the castle for her safety. She longs to go outside, just for a moment, to smell the sweet lilacs growing in the meadow. Come along on her exciting adventure when she dares to escape the castle walls and meets a cursed dragon. Little does she know that while the dragon has one plan, her sweet spirit will unravel it. 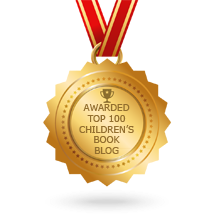 The Lilac Princess will capture your imagination and your heart as it joins adventure with life lessons for the young and old about the merits of responsibility, forgiveness, and standing up for what you believe. 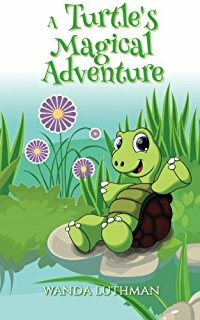 A Turtle’s Magical Adventure which is a charming, heart-warming story of a turtle who doesn’t like his shell because it makes him too slow. Tad asks other slow animals if they also mind being slow. Each one gives an answer that helps Tad feel better, but, still he wants to be fast. He happens upon a snake who tells him there is a wizard that can make him fast. He goes on an adventure into The Magical Timberwood Forest to meet the wizard and hopefully get his wish fulfilled. He encounters delightful, magical creatures along the way but also meets with danger and choices. Will Tad get his wish or will the wizard turn him into turtle soup? 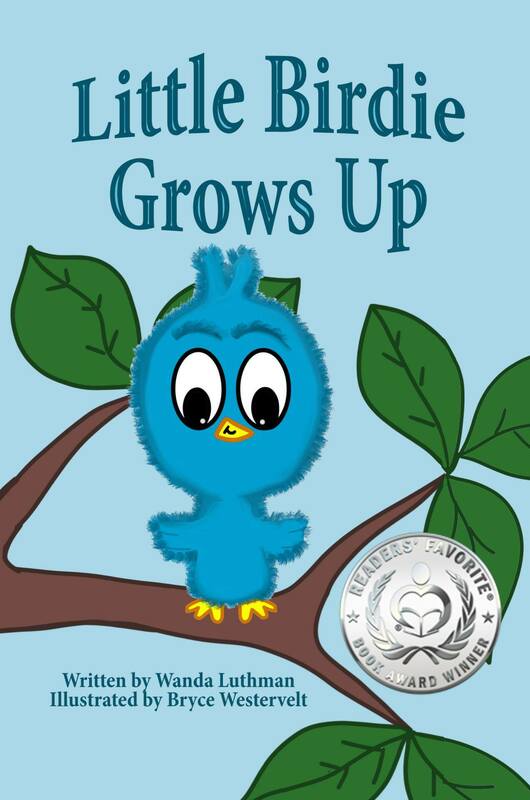 Little Birdie Grows Up s a delightful rhyming picture book with charming illustrations about a little blue bird who pecks his way out of his shell and into the hearts of parents and children. He meets his Mama and yearns to fly up in the sky. His Mama reassures him that one day he will be able to accomplish his dream. His first attempt is mostly falling. But, when he finally does learn how to fly, well, it’s time to say good-bye. Come along on the journey of Little Birdie Grows Up. Franky the Finicky Flamingo is a children’s rhyming picture book that tells the story of a handsome flamingo named Franky who is a picky eater. He tries foods that other birds enjoy but none taste good to him. Then, an awful thing happens. His beloved shade of pink begins to fade. Will Franky figure out that the food he likes best is also the food that keeps his bright color? Will Franky’s finickiness finally be solved?